Click here to see some Nissan Skylines in the "drift"
Click here to see a Nissan Skyline fully getting it. Click here to see Curt LeDuc giving someone the ride of their life. Click here to see me going for a ride with Ed "Terrible" Herbst. Click here to see me riding full bore in an ASA race car. 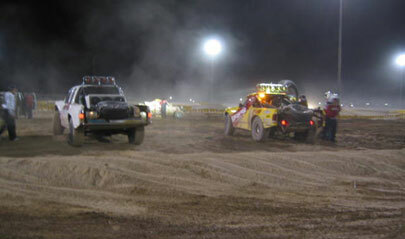 Our Trip to the 2003 SEMA show started off with a bang by going to the Las Vegas Motor Speedway. BF Goodrich was hosting an invite-only for VIPs, and the media. The goal of "Take Control Night" was to compare BF Goodrich tires to competitor's tires. 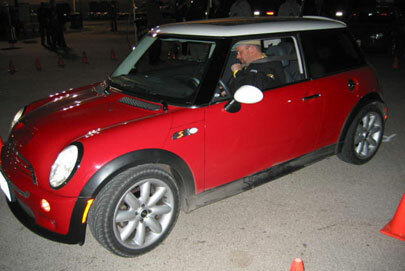 Mike Shaffer testing some Mini Coopers on the Autocross course. Attendees were able to drive various performance oriented cars - for example - a Nissan 350Z shod with BF Goodrich's "G Force" radial against similarly equipped 350Z with Goodyear's performance tire. Attendees were even allowed to drive Skip Barber race cars shod with new BFG meats. Waiting in line to ride with off road legends such as Baldwin Motorsports, Ed Herbst, and Curt LeDuc. 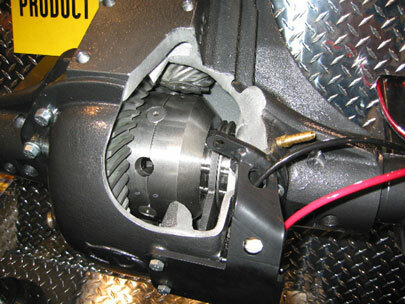 The BF Goodrich "Take Control Night" is like a dream come true for any motorhead. From riding mach1 in a full-blown ASA race car around the oval track, to getting air born in Baldwin Motorsport's pre runner - it was a thrill per minute! 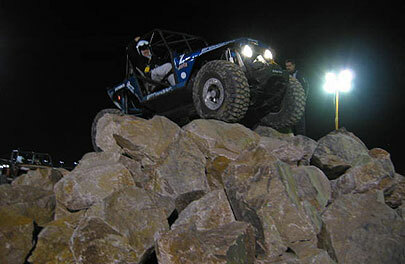 Don Robbins giving attendees a ride on the rock pile. As for the show, we'll let the photos in the gallery speak for themselves. Tera Mfg's new air operated locker. No seals to go bad in this unit. It's got some very clever ideas, and should be a huge hit.